The next time you are in Washington DC, consider taking a trip to Arlington National Cemetery to visit section 60, gravesite 8558. 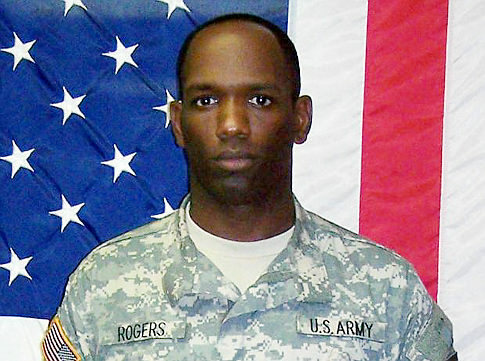 Maj. Alan Rogers, the first publicly known gay soldier, died after being struck by an improvised explosive device in Jan. 2008. If you are ever able to make the journey to pay your respects, look around at the rows and rows of white marble and consider how many others like him lie nearby. The events of 12/18/10 will hopefully change that forever. DADT IS DEAD. LONG LIVE REPEAL. The Air Force Core Values guide us in all of our decisions as we rise to meet any challenge presented. These enduring values anchor and bind Airmen together each and every day. Any compromise diminishes the character of our service. With input from each of the military services, Congress is now considering changes to the “Don’t Ask, Don’t Tell” policy. As military men and women, the American people count on us to adhere to the laws of the land, and we now stand ready and able to follow any decisions made. The success of implementing any changes in policy rests on the shoulders of our Air Force senior leaders, commanders and the NCO corps. We’re confident that as professional Airmen, we will let our Core Values guide us in meeting challenges resulting from any changes. Airmen must serve with the utmost integrity. We need to be honest in all things and have respect for ourselves and each other. It is necessary that we act with integrity both in our professional lives as well as our personal lives because our word is our bond. All of us volunteered to serve our nation and put the needs of the Air Force before our own. No matter the issue or task, you have always overcome challenges with conviction, confidence and professionalism. This time is no different. Serving in our Air Force is a higher calling. We commit to following our leaders and protect our wingmen every day. Excellence means respect for each other and value of individual contributions. We need to understand that people depend on and trust us to give our very best. As others value our contributions, we must recognize the worth of fellow Airmen. The Air Force Core Values are what we live by, and they will continue to guide our standards. I’m proud to serve alongside you in the world’s finest Air Force. I know we can handle any challenge we are faced with.